Survivors of devastating Cyclone Idai that hit southern Africa face an increasing risk of waterborne disease as relief efforts begin to reach remote areas of Mozambique. The UN has launched a campaign to raise 250 million euros to help people in Mozambique who bore the brunt of hurricane-force wind and rain that also battered Zimbabwe and Malawi. “The precarious situation of the transit centres as well as the shelter facilities - we are really sitting on a water, sanitation, hygiene ticking bomb,” said Elhadj As Sy, secretary general of the International Federation of Red Cross and Red Crescent Societies, in reference to Mozambique. Sy warned of the increased risk of cholera, typhus and malaria, especially given that malaria is endemic to Mozambique. He described a school of fifteen classrooms in the hard-hit city of Beria with some 3,000 people crammed in, seeking shelter. “That is really a recipe for disaster,” he said. “Intervening quickly on water, sanitation and hygiene is critical,” Sy added. Some 1.8 million people have been affected in Mozambique and at least 700 people were killed, although the death toll is likely to be much higher with hundreds of people reported missing. 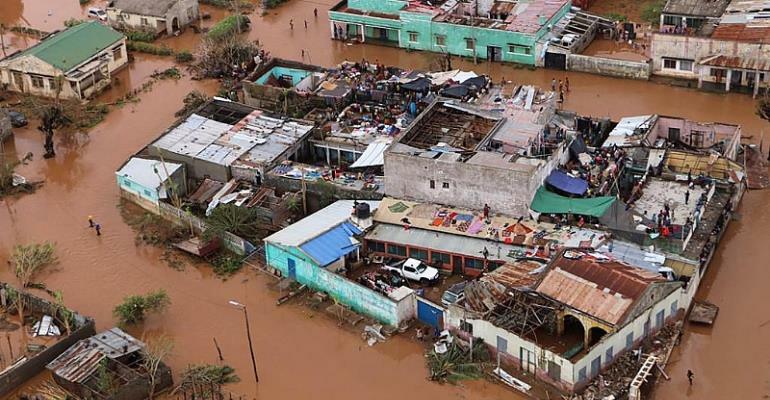 Mozambique's government has said the conditions for rescue efforts have improved and the UN Office for the Coordination of Humanitarian Affairs announced that some 30 air missions have been deployed. Food aid and shelter was expected to be delivered on Tuesday to areas in the north and south. The UN has also launched a 250-million-euro call for donations over the next three months to help people in Mozambique. “Obviously a big element of that is health, water, sanitation and hygiene - a lot of it is also for food security and livelihoods,” said UN aid chief Mark Lowcock during a briefing with reporters in New York on Monday. “The funding requirements - the 282 million dollars, which is just for Mozambique - outstrip what's coming forward at the moment,” added Lowcock, appealing to donor countries to be generous in supporting the fund.